The weekend is finally here! (Cue the confetti cannons!) 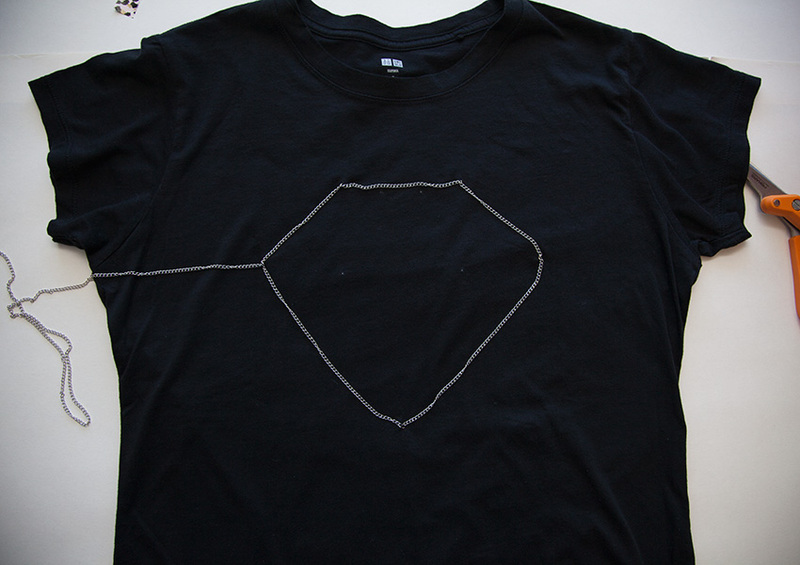 Today, I thought I’d share a different way to embellish a t-shirt by using chains to create a cool outline design. 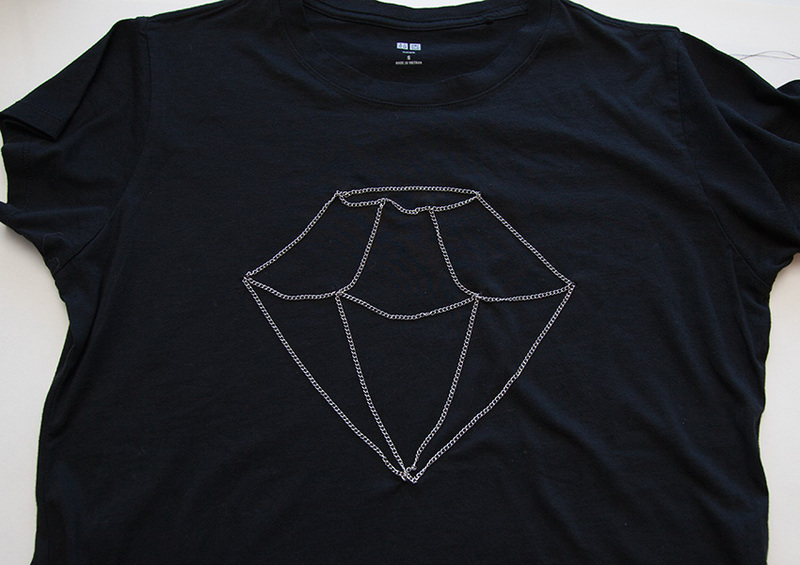 Grab a tee, some lightweight chains, and get the free downloadable design below to make your own edgy DIY Tee with Chains! 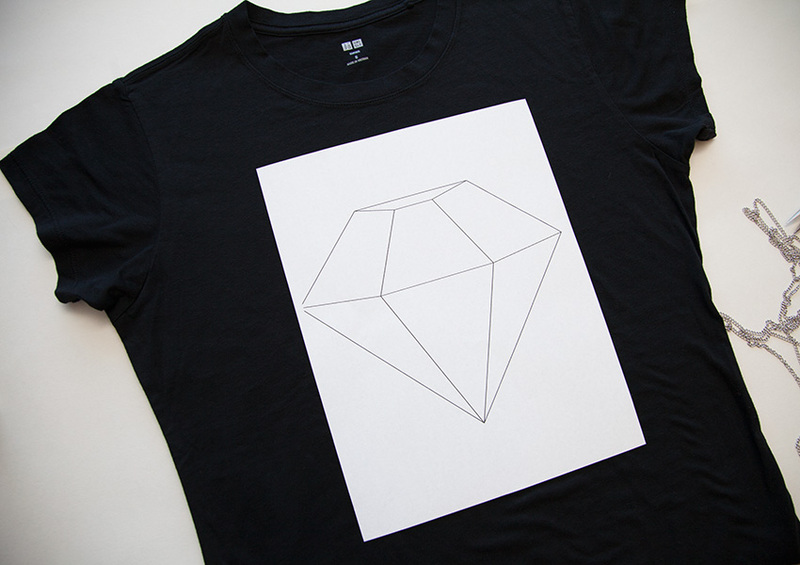 Download and print out your design. 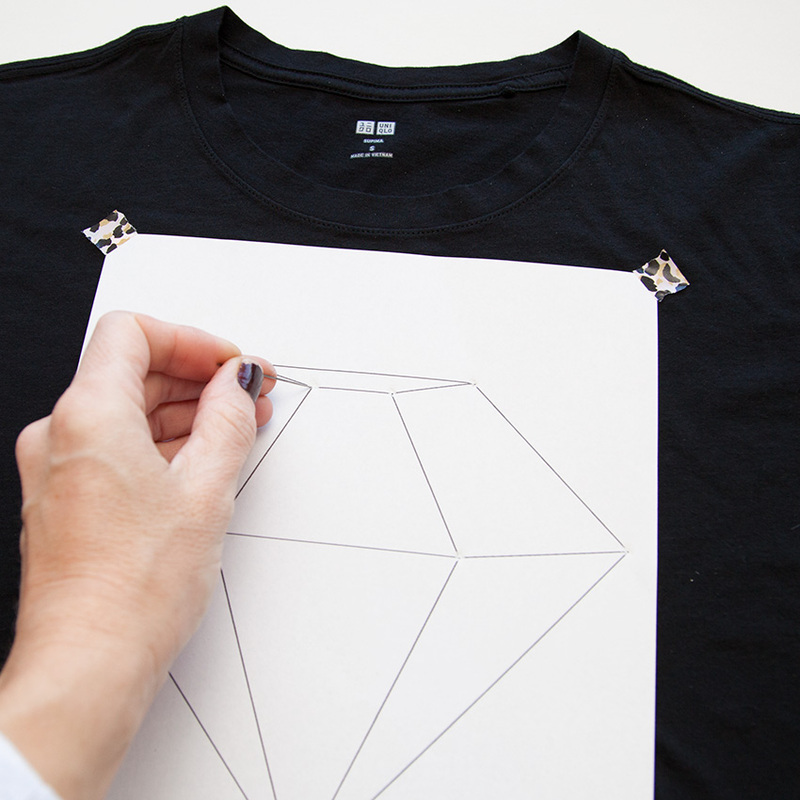 Tape your pattern in place on your t-shirt. 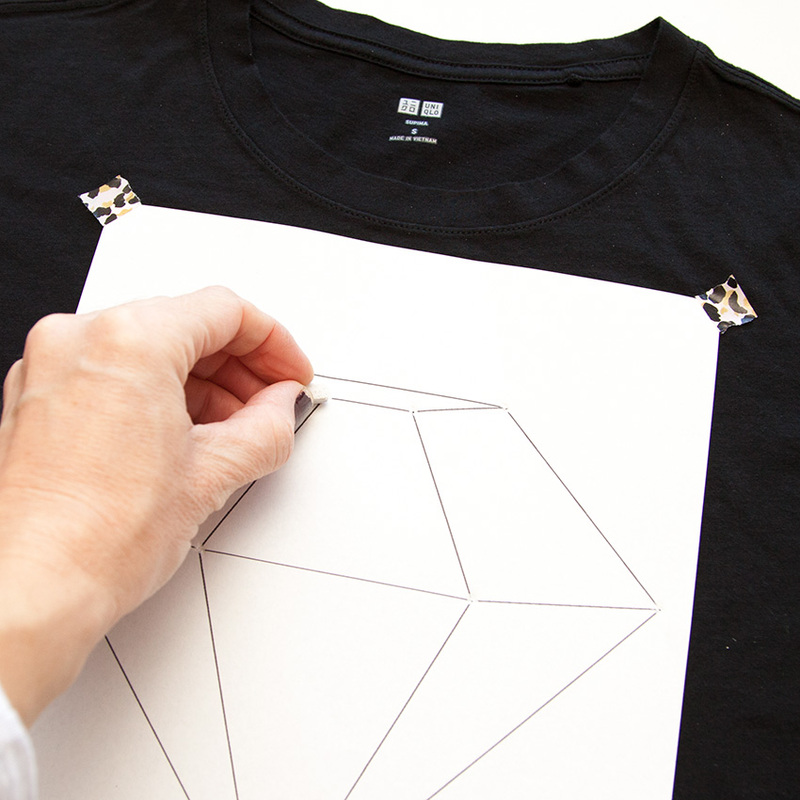 Use a pencil to poke holes in your design where you will sew it. 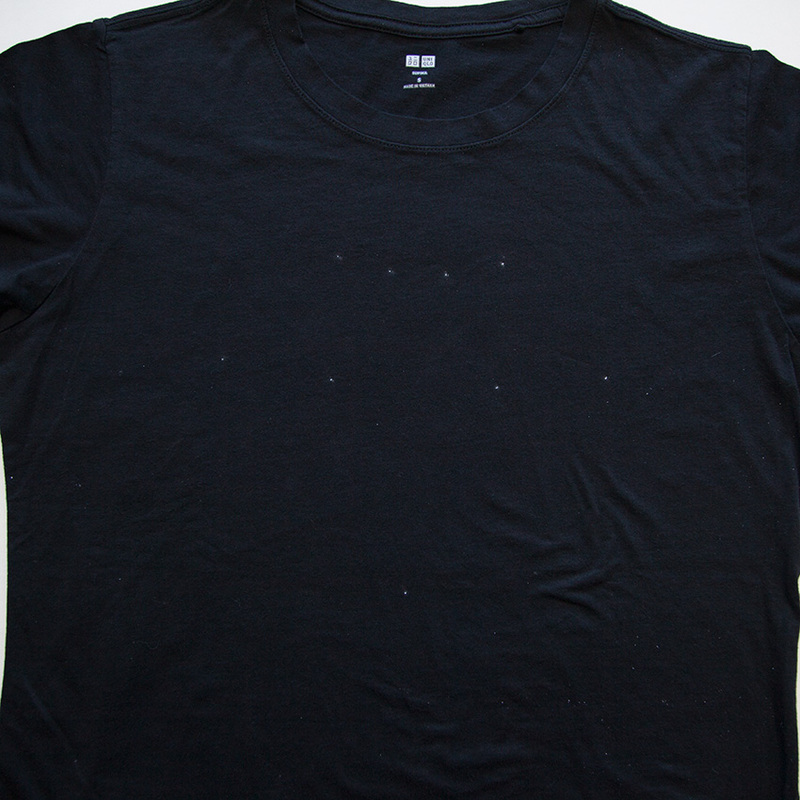 Press through those holes with your chalk to make a mark so you know where to sew. I started at the bottom point of my diamond. 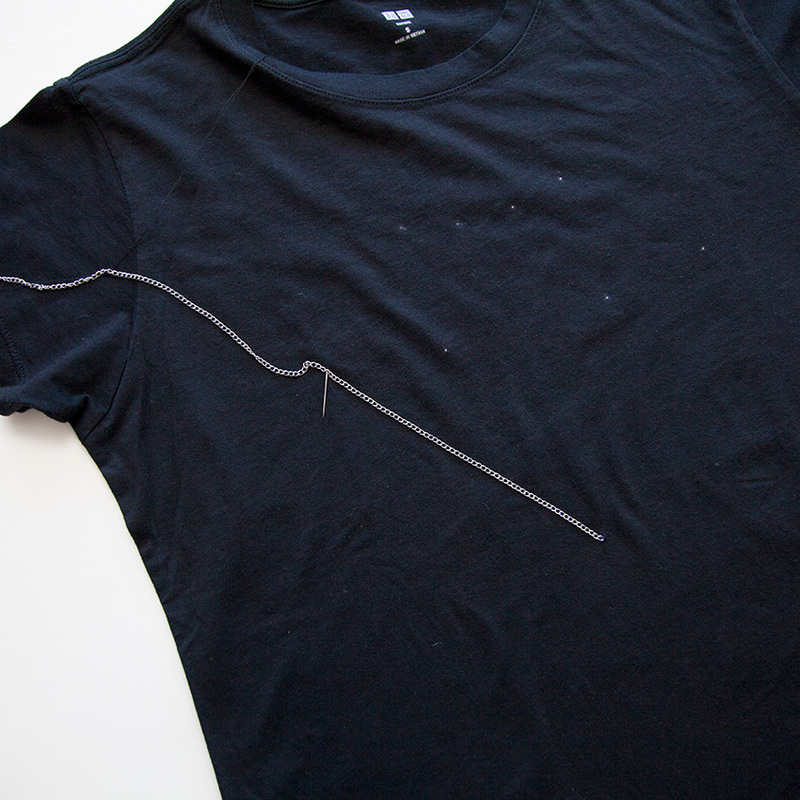 Sew the end of your chain securely to your t-shirt. As you move up to your next point of attachment, smooth your chain. 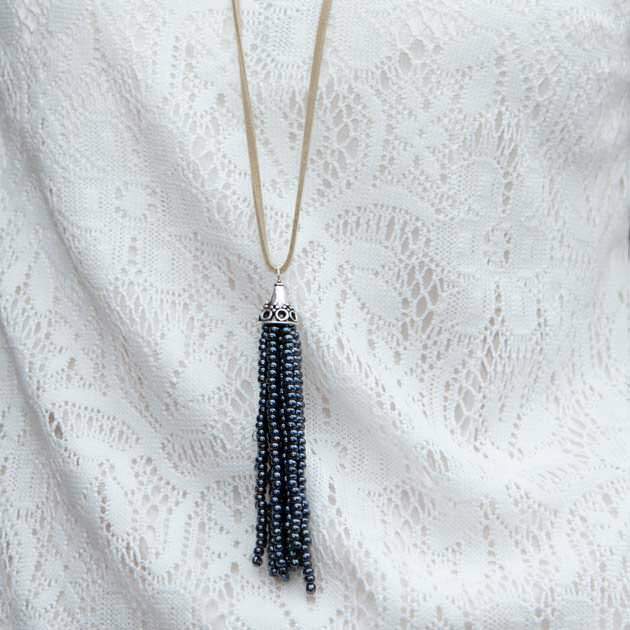 You don’t want to pull your chain tight or it will pull your t-shirt when you wear it, but don’t let it droop too much either. 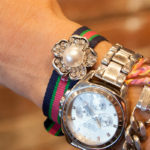 Keep sewing each point around the outside of your design. 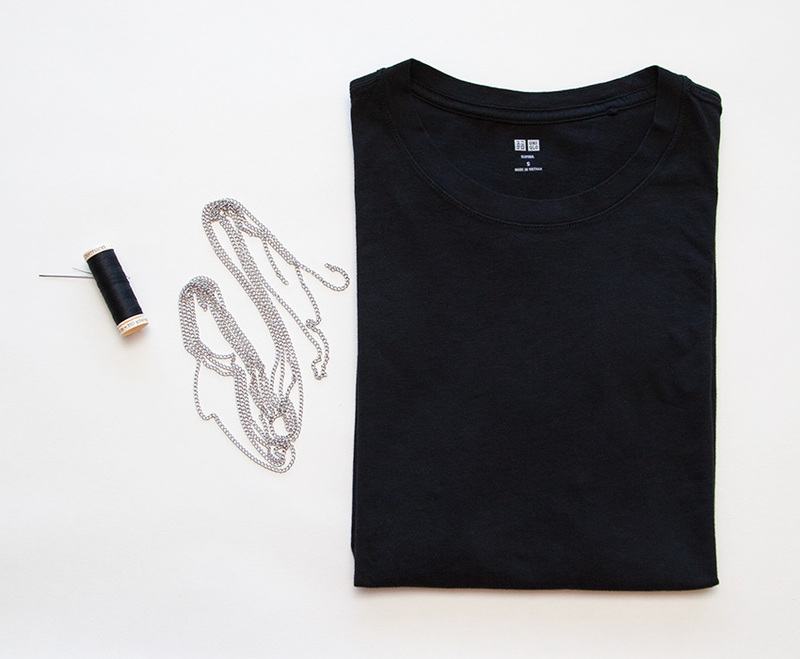 When you start working on the inside design, cut your chain to fit your design, sewing your chain at the ends. Make sure you secure your chain as you’re sewing to make sure it doesn’t come undone. 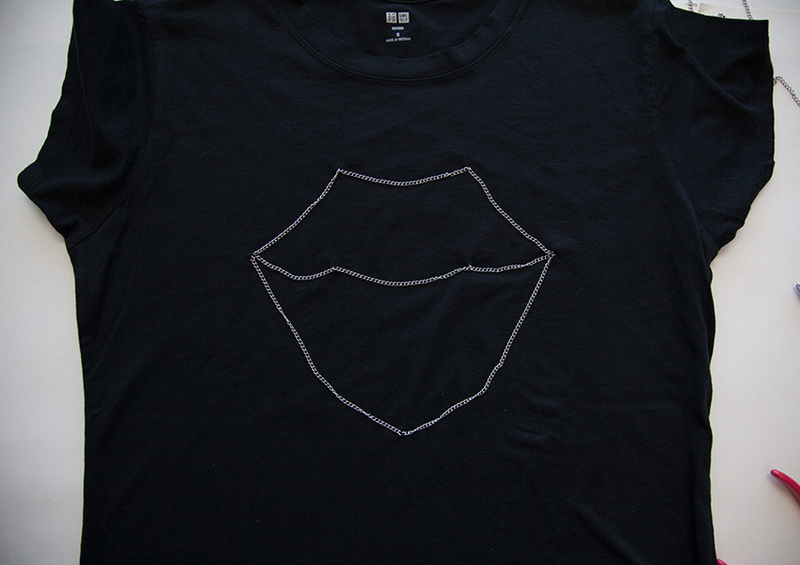 A really cool thing about this t-shirt is that the design is really subtle and you can dress it up or down. It’s the perfect little black tee (LBT) to wear under a jacket. 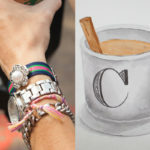 With the chains you don’t need a necklace just focus on your earrings or some cool bracelets and you’re ready to rock it! What are you making this weekend? Maybe a T-Shirt with Chains? 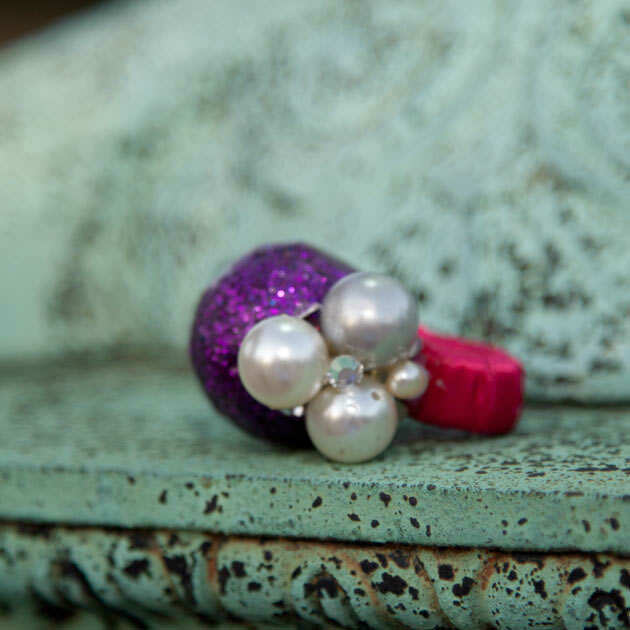 Leave a comment and share what you’re up to! This is super cute and so inspirational!!! 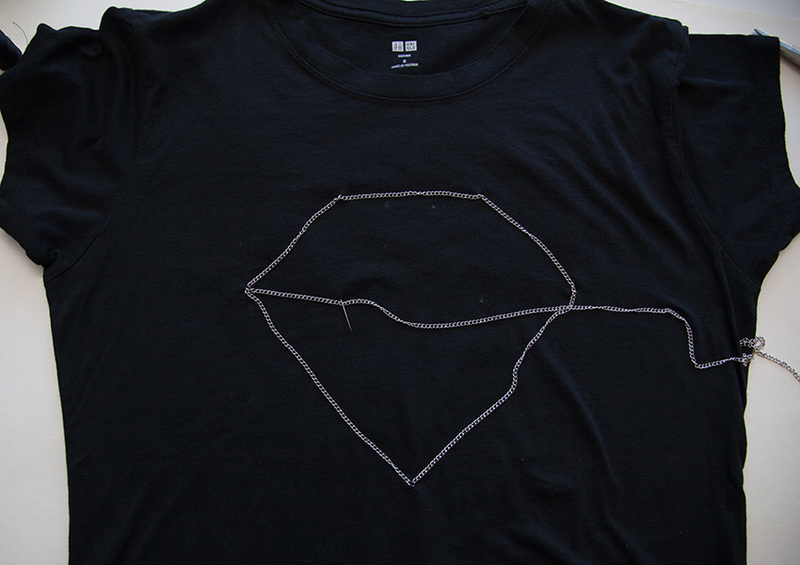 I would like that chain on a tee in many other ways too! Thank you so much Ntina! 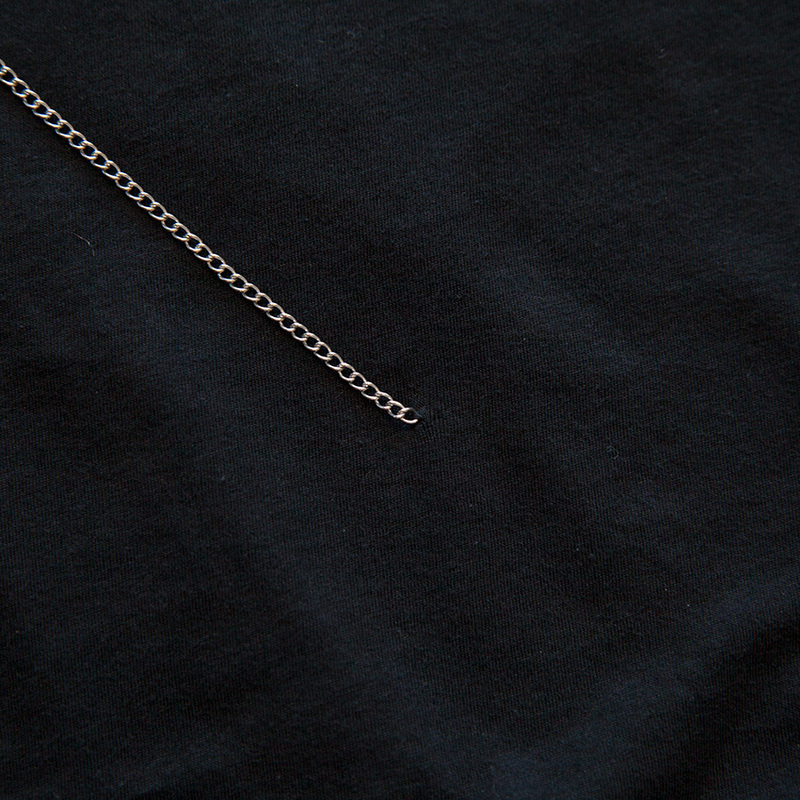 I agree there are so many cool ways you could use the chain on a tee.